Attorneys and analysts alike point to irresponsible dog ownership as the cause for the increase. Fewer people appear to obey leash laws, and aggressive playtime might condition dogs to react violently. Experts suggest a game such as fetch over tug-of-war to prevent breeding bad dog behavior. They also recommend avoiding interrupting dogs while they eat and sleep. Nationwide, a single dog bite claim normally settles for $27,862 on average. The entire American insurance industry has paid $483.7 million in the past year for these cases. 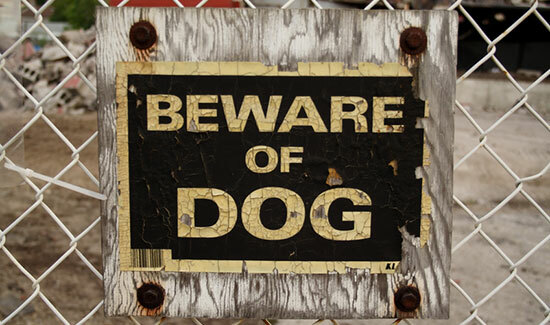 These statistics and suggestions come just as National Dog Bite Prevention Week begins on Sunday, May 18. Insurance companies, experts, and dog-owners will certainly be supporting, hoping to see these numbers go down. Unfortunately, owners may make their pets aggressive, or a dog's instincts can lead them to feel threatened and react. Have you or a loved one suffered from an attack? If you have been injured by a dog, you may have a case. Call us at 1-866-943-3427 or use the link in the top right corner of this page for a free legal consultation. And remember, there's never a fee unless we get money for you. Source: "Dog-Bite Claims Set Record as N.Y. has Costliest Attacks." Bloomberg News. May 14, 2014.